One of the notes Nine could have given to Endemol Shine Australia when it recommissioned Married At First Sight last week could have been to explore how Nine could push the format to four episodes a week next year. With no Wednesday episode for the past fortnight, Nine’s share has slumped midweek, leaving the door open for Seven to regain momentum for both My Kitchen Rules and the new Murder Uncovered. Seven won the network night and posted clear wins in Sydney and Melbourne too. It was also well ahead in combined channel share. TEN is also enjoying the absence of the Nine powerhouse with TEN’s share growing every night this week to a week high of 14.4% last night. Home and Away kept its audience just over 700,000. 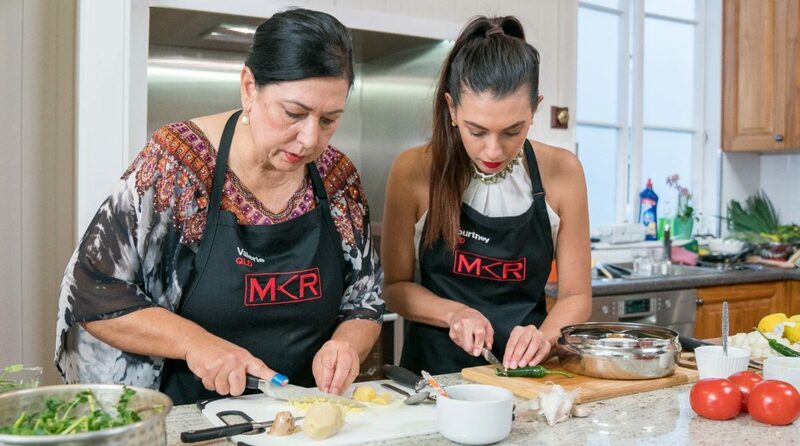 My Kitchen Rules did 1.10m to rank #1 all people and in the key demos after the midweek episode did 1.16m a week ago. The cooking lifted a notch last night with perfect scores of 10 from each judge for the main course of goat curry with dhal and pilau rice from mother and daughter Valerie and Courtney. Their entrées also scored well but their dessert course got a three from both judges. A Current Affair dipped to 720,000 on a week that has seen the numbers range from 776,000 to 836,000 on the first two nights. Planet Earth II shows Sir David Attenborough is no ratings match for the stars of Married At First Sight, despite some great work from the Nine promo team. Since Married did 908,000 in the slot three weeks ago, the numbers have drifted lower, with 648,000 watching last night. The channel’s real crime series Murder Calls suffered with a poor lead-in and did 421,000 after 548,000 a fortnight ago (the cricket was on last week). The Project did 559,000 at 7pm with a story about a new home that could be demolished because of a neighbour’s complaints. The episode also featured a few plugs for Peter Helliar‘s new book (“Frankie Fish” – Hardie Grant $14.99) plus Gerry Harvey was interviewed in the first 30 minutes of the show. I’m A Celebrity…Get Me Out Of Here! was the fourth most-watched show on Wednesday with 805,000, which was close to 100,000 below its big Wednesday last week. Later in the night This Is Us held above 500,000, not too far below the 556,000 watching a week ago. Madam Secretary then did 224,000. 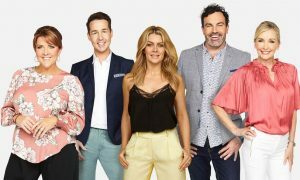 Julia Zemiro was walking around Beaumaris with Colin Hay on Home Delivery with 460,000 watching, well down on the 602,000 from last week, which featured cult star Lee Lin Chin. The Weekly with Charlie Pickering featured the Oscars drama with 522,000, very close to last week’s 512,000. Walliams and Friend then did 340,000 after launching with 349,000 a week ago. Walliams has been hosting a week of ITV’s new nightly talk show in the UK this week. Share hovered close to 5% for the second successive night with Tony Robinson Down Under drawing the biggest crowd for the channel – 240,000. The penultimate episode of Vikings in this season then did 199,000 after 9.30pm. Wedged between those two shows was Truth About Racism, which did 152,000.